Switzerland is rather small, but pretty famous country. It is widely known for its picturesque mountains, financial institutions, cheese and chocolate, perfect watches and excellent public traffic. 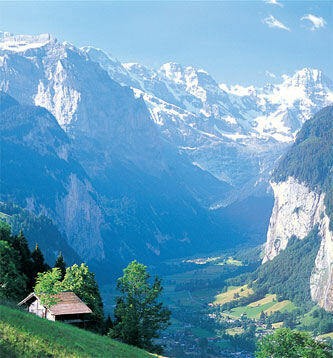 Switzerland is a country that covers a total territory of 41 293 square kilometers. It is 220 kilometers long (from north to south) and 348 kilometers wide (from east to west). The length of the borderline is 1 881 kilometers. Switzerland is bounded by France to the west, Germany to the north, Austria and the principality of Liechtenstein to the east and Italy to the south. The landscape is mostly mountainous, including the Swiss Alps, the hilly Swiss Mittelland and the Swiss Jura – also a line of rugged mountains. The highest peaks in Switzerland are all located in Valais – Dufourspitze (4 634 meters), Dom (4 545 meters), Weisshorn (4 506 meters) and Matterhorn (4 478 meters). Except mountains, there are also glaciers (140 in total) in Switzerland and many gorgeous lakes (1 484). The largest glacier when it comes to territory is Aletsch in Valais, which covers a territory of 117 sq kilometers and is 24 kilometers long. The list of the largest lakes includes Lake Geneva (582 sq km), Lake Constance (539 sq km), Lake Neuchâtel (218 sq km), Lake Maggiore (212 sq km), Lake Lucerne (114 sq km) and Lake Zurich (88 sq km). The settlement in Switzerland which is located at the highest elevation is Juf in Graubunden – 2 126 meters above sea level. And respectively the lowest one is located at 196 meters elevation – Ascona in Ticino. The capital of Switzerland is Berne and the total population in the country is 7,4 million people with average density of 172 people per square kilometer. The most populated cities in the country are Zurich (336 800 people), Geneva (173 500), Basel (168 700), Berne (122 700) and Lucerne (57 000). Switzerland is a democratic Parliamentary Federal State since 1848. It is divided into 20 full and 6 half cantons – Argovia, Appenzell Outer-Rhodes, Appenzell Inner-Rhodes, Basle-Country, Basle-Town, Berne, Fribourg, Geneva, Glarus, Grisons, Jura, Lucerne, Neuchâtel, Nidwalden, Obwalden, Schaffhausen, Schwyz, Solothurn, St.Gall, Thurgovia, Ticino, Uri, Valais, Vaud, Zug and Zurich. The spoken languages are German (spoken by 64% of the people; in North, Central and Eastern Switzerland), French (19% of the people; in Western Switzerland), Italian (8% of the people; in Southern Switzerland) and Romansch – a derivative from Latin (1% of the people; South-Eastern Switzerland). English is also a widely used language. As far as religion is concerned, around 48% of the people are Catholic and the Protestants are almost as much – 44%. The rest of the people profess other different religions. There are also some non-official regions in Switzerland. The Zurich Region is famous for its diversity of lakes, rivers, hills and woods, all just next to the Alps. The Basel Region is rather different and known for the excellent displays of modern art and architecture. In the Valais Region you will find many ponds, forests and vineyards and in Lake Geneva Region you can admire the perfect Alpine views. If you want gorgeous lush plains, farms and canyons, you should visit the Jura Region, but if you are more of a culture type – the Geneva Region with its cosmopolitan city is the place for you. In Eastern Switzerland and the Graubünden Region you will also find marvelous Alpine slopes and plains. Also famous are Central Switzerland and the Schweizer Mittelland, with its calm rivers and farmhouses. In the Bernese Oberland you can find a diversity of waterfalls, cliffs, glaciers and canyons. And if you want a sense of Italy, the Mediterranean Ticino Region is a perfect place. The climate in Switzerland is moderate without extreme heat, cold or humidity. Between July and August the daytime temperature ranges between 18 and 28 °C and between January and February it ranges from -2 to 7 °C. Throughout spring and autumn, the daytime temperature is usually between 8 and 15 °C. But of course with the altitude the temperatures change, so it is advisable to bring a sweater, light coat and sunglasses. In every big city there are buildings in honour of the opera, theatre or symphony there. The places are usually very popular and attended by famous artists. There are also chamber groups and quartets in the smaller settlements. Some of the biggest events in Switzerland include the Bern, Willisau and Montreux Jazz Festivals and the classical music events of Lucerne and Gstaad. The rich cultural life is shaped by the almost 700 museums in the country. There is a special museum for just about everything and you can also see many marvelous art collections. There are also medieval castles and mansions open for public visits and in some of them you can find museums or just nice restaurants. Available for visits are churches, monasteries and abbey libraries where one can also admire the old times. 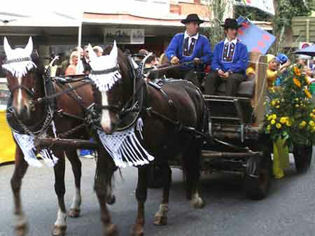 Some of the holidays in Switzerland include the first of August – the Swiss Independence day, the spring festival in Zurich – Sechseläuten, Hornussen – a unique sport, the Onion market in Berne, cow fights in Valais, the International Film Festival and more. Some of the holidays are Good Friday (April 6), Ascension Day (May 17), Whit Monday (May 28) and Boxing Day (December 26). In some parts of the country are celebrated local holidays like Labour Day (May 1) and Corpus Christi (June 7). If you visit Switzerland for less than three months, you will need to have only a valid passport. But if you stay more than three months, you will also need a visa. This rule can be applied to citizens of the America Continent (but not from Belize, Dominican Republic, Haiti and Peru), Europe, Japan, Australia and New Zealand. Should you need more information about visas, living or working there, you have to contact the closest Swiss Consulate General. If you want your money to be safe, you should use mostly cheques and credit cards. The most common cards are Visa, Master Card and American Express. There are many banks with ATM machines, equipped with the CIRRUS or MAESTRO system. Some other ATM machines offer advanced operations with credit cards. When you arrive it’s a good idea to have some cash for the immediate expenses like a taxi for example. The official currency is the Swiss franc (CHF) as the country is not part of the European Union. Nevertheless, many prices are indicated in Euros so that tourists can easily compare the prices. Some merchants might accept Euros, but they are not obliged to do it and they will probably give the change in Swiss francs. The coins of the Swiss franc are from 5, 10, 20 and 50 cents and 1, 2 and 5 francs. The bank notes are from 10, 20, 50, 100, 200 and 1000 francs. There is a wide variety of dishes and spices and the food in the different regions may also vary. The chefs constantly come up with new ways of presenting traditional dishes. Some of them are internationally popular by creating food artworks. If you visit a lake, definitely ask for a fish dish. You can also find great salads and spicy meat in almost all dining places. You can grab a nice snack or elegantly dine in a castle. You can find marvelous food in the best restaurants in the world, at a local inn or simply at a train station. There are also perfect vegetarian and kosher meals. In Zurich you can taste veal meat in small pieces with cream sauce or different versions of hash potatoes. In Berne try the pork, sausage or sauerkraut. In Geneva the perch and trout are a must while in Lausanne you cannot miss the local sausage with potatoes and leeks. The specialty in Ticino is risotto and pasta. As far as the whole country is concerned, you have to try the different cheeses (like Tete de Moine), crusty bread and muesli. 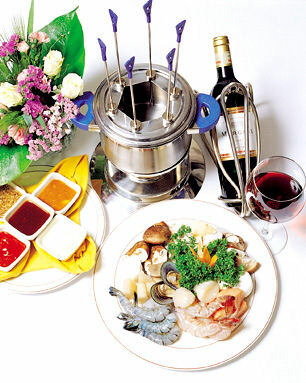 Other special meals include fondue, raclette, cheese tartlets, dried meats, sausages and more. Some of the perfect wines you can taste include red Merlot and Nostrano in Ticino, Cressier on the Lake Neuchatel and Dole, suitable for many dishes. In Switzerland the making of wine has turned into an art. You should also taste Fendant in Valais, Twanner in Biel, Dezaley from chasselas grape or the Glacier, old more than a decade. You can also visit some villages, where the wine is superb, but never leaves the area. There is a great variety of events in Switzerland – from exhibitions and concerts to some sport events. The nightlife is also great in most of the places with clubs, discos, theatres and cinemas. You can also visit numerous casinos, restaurants and bars. The mountains in Switzerland are perfect for you if you are keen or mountain climbing or simply want to go hiking. But never forget getting proper equipment and listening to the weather forecast. There is an infinite number of places where you can ski in the country. Except from skiing, you can also practice many other winter sports – tobogganing, cross-country skiing, ice-skating, curling and more. You can also hire the necessary equipment from the place you will practice the sport. There are some world-known resorts in the country. 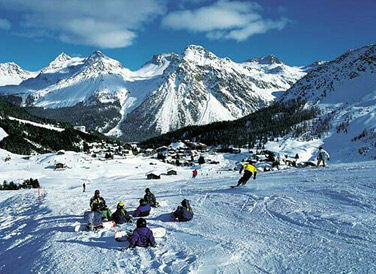 One of them is St.Moritz, offering a perfect atmosphere and alpine skiing. There are also many famous resorts in the Wallis Canton. From Zermatt you can also see Matterhorn – the most well-known peak in Switzerland, but not the highest (4 478meters). In Central Switzerland you can see the Queen of the Mountains with its far from ordinary peak. It is the Rigi Mountain, only 1 800 meters high. The mentioned mountain has the oldest railway in Europe. With the Rotair rail you can reach the Titlis Peak and there is also a restaurant on Stranserhorn. In Switzerland, there is also the most sheer and steep railway, leading to the Pilatus Mountains (2130 meters). 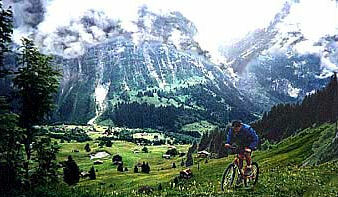 In the Oberland region the mountain lovers can enjoy two perfect vacations. One can visit Jungfraujoch – the highest railway station in Europe, 3 454 meters. 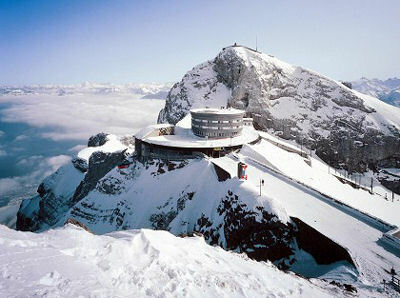 Or go to the restaurant on Schilthorn Peak (2 970 meters), where were shot parts of a James Bond film. You can either bring or hire your equipment and a vacation there does not need to be expensive. There is also a wide variety of available accommodation in every ski resort. You can spend your holiday in a family pension, youth hostel, wood house or luxurious hotel. You can also taste amazing dishes, shop in boutiques or have a romantic evening in a four-horse sleigh. 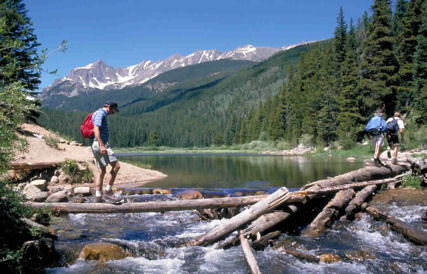 The country is full of roads, suitable for cycling and there are also many specially marked mountain bike trails. You can load your bicycle on a train, but some of them don’t permit it. These are marked on the timetables in the stations. There is a train information notice on the platforms, which will guide you to where you can load the bicycle. It can be loaded either in the entrance of the passengers compartment, or in the luggage compartment. You can also hire many kinds of bicycles from about 100 Swiss Federal Railway stations or from private ones. If you prefer to catch fish with a fishing rot yourself, there are many rivers and lakes where you can do so. There is a special fishing law, but it varies with the places. You can get additional information from tourist or administrative offices. In the numerous lakes in Switzerland you can also practice many water sports. If you have a motor or sailing boat, you can bring it in the country free of taxes and formalities. But you can do so if only it is registered in the country you come from and if you bring it out of the country in a month maximum. 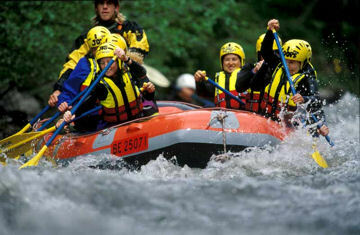 Canoes, rubber dinghies, kayaks and similar are not technically categorized on the Customs as tourist luggage. If the thing you carry has more power capacity than 6kW or its surface is more than 15 sq km, you will need to present a driving license (a foreign one also works). On Lake Constance you will also need a license, if it is more than 4,4kW or 12 sq km. You can drive a motor boat only if you are over 18. For transporting one you will need permission by the cantonal road and shipping office which is valid till the end of the next month and cannot be renewed in the same calendar year. The most popular lakes with many opportunities are Lake Lucerne, Lake Neuenburg, Lake Constance, Lake Geneva and the Ticino lakes. There are also great lakes offering everything without motorized water sports – Lake Greifen, Lake Pfäffiker, the Aargau lakes, the lakes of Graubünden and more. If your boat or equipment is less than 2,5 meters long, you don’t need a permission for it, but you can use it only in the 150 meters lakeside zone. Exceptions are surf boards and racing rowing boats which can be used farther out in the lake. Also in the 300 meter lakeside zone you cannot drive with speed over 10 km/h. Of course, sports like tennis, golf, squash, badminton, hang-gliding, paragliding, etc. are also widely popular.